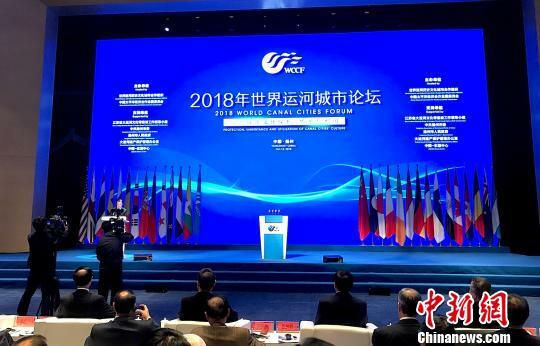 Yangzhou City, Jiangsu Province — The 2018 World Canal Cities Forum, which was organized by the World Historic and Cultural Canal Cities Cooperation Organization (WCCO) and the China National Committee for Pacific Economic Cooperation (CNCPEC), was held in Yangzhou city from the 11th to 13th of October. More than 300 politicians, senior officials, eminent persons, professional experts, entrepreneurs, international organizations from more than 30 countries globally attended the Forum, had extensive and in-depth dialogues and exchanged views based on the theme of the “Protection, Inheritance and Utilization of Canal City Culture”, inheritance and use of the world canal city culture”, and discussed the countermeasures to solve the realistic problems of the canal and the development direction of canal protection and utilization, so as to jointly promote the sustainable development of the canal. 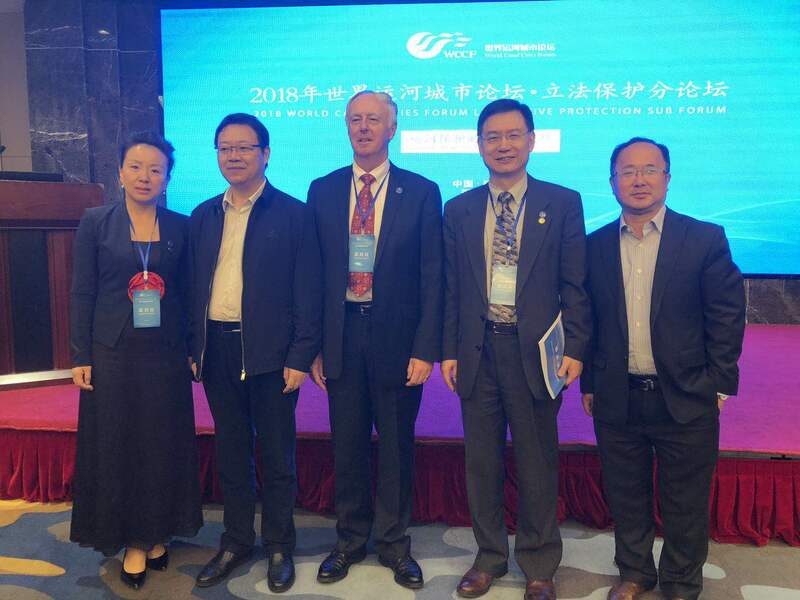 Mr. Eric Fang, President of the National Center for Sustainable Development (NCSD) was invited by WCCO to participate the Forum and as a guest speaker, presented a “Data Management to Support the Healthy Development of Canal Eco-Environmental Sustainability”. AT the Forum, Mr. Fang also had a chance to meet with the Party Secretary General of Yangzhou, Mr. Xie Zhengyi. During the visit, Mr. Fang also met with Madam Yang Weimin, Chairman of Yangzhou Municipal Federation of Overseas Chinese. 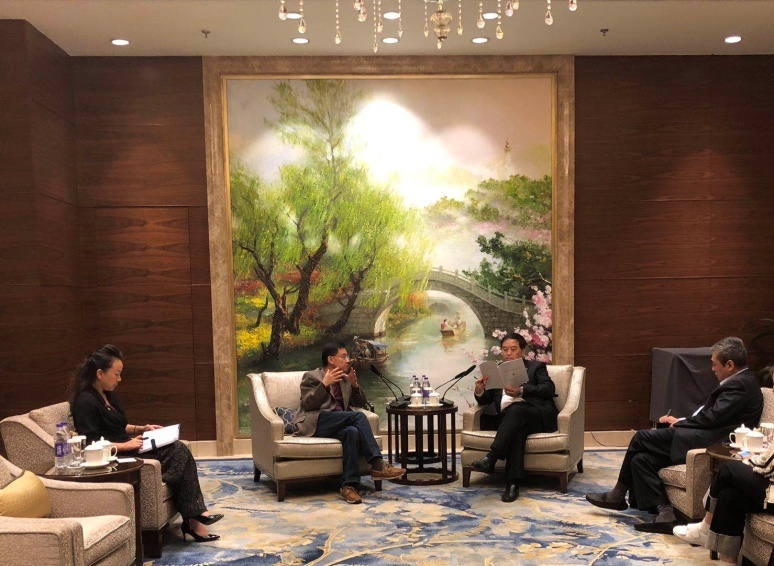 On the 11th afternoon, Eric Fang along with Tina Pei also met with Mr. Chen Xi, Director of Yangzhou Economic and Technology Development Zone and his team. Both party agreed to cooperate in furthering Yangzhou ETDZ development. As a follow up, Tina Pei, Vice President of Business Development will lead NCSD team to have a more in depth discussion with the Yangzhou ETDZ Investment Promotion Bureau headed by Mr. Li Jun. On October 12th, Mr. Zhu Minyang, Chairman of WCCO met with Mr. Fang and Ms. Tina Pei, Vice President of Business Development of NCSD. 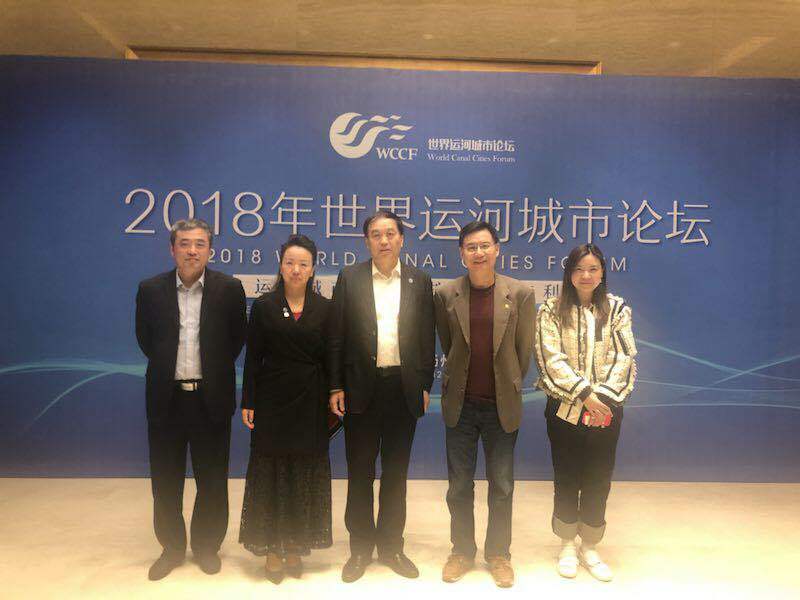 Mr. Fang introduced the foundation background, business development and prospects of NCSD, and expressed that the cooperation between WCCO and NCSD will certainly be able to make a different contribution to the protection of the Grand Canal in China, and bring great benefits with innovative American characteristics to WCCO member cities. 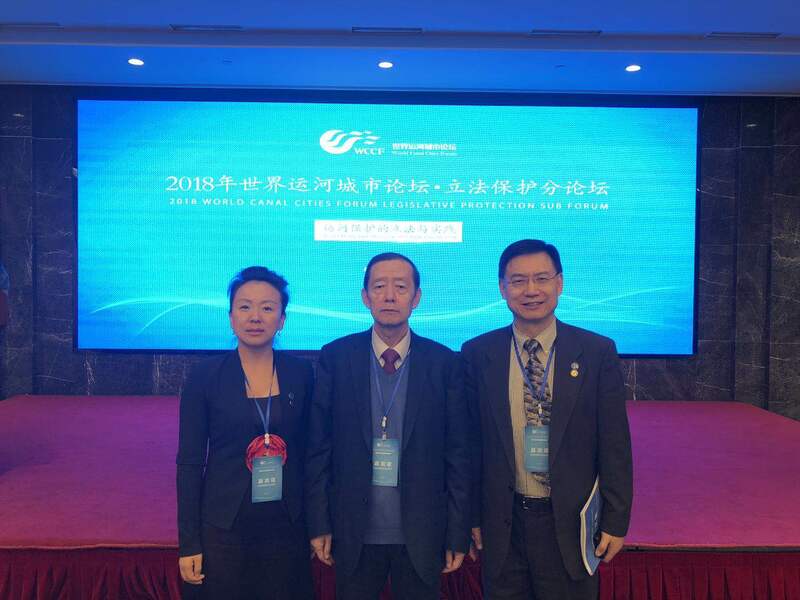 Mr. Zhu affirmed NCSD’s innovativeness with the advanced ideas of the United States, and was willing to make innovation for the inheritance, protection and utilization of the Grand Canal in China in the aspects of water resources, environment and education through the cooperation between NCSD and WCCO. WCCO will continue to pay close attention on the development of NCSD and seek project cooperation between WCCO and NCSD.